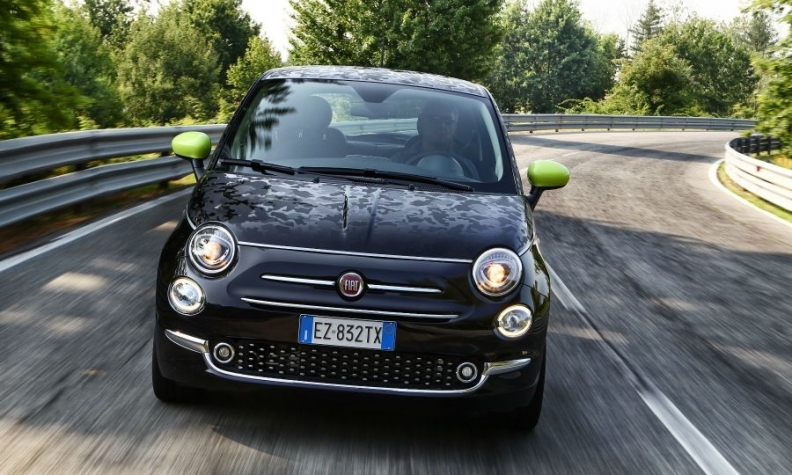 Fiat sales rose 40 percent in Spain last month, helped by demand for the 500 model. New-car sales in Spain rose 11 percent in May to the highest level for the month since 2008. Registrations increased to 126,411 last month, according to industry association ANFAC. May’s sales increase is the second-largest monthly rise this year since March when registrations rose 13 percent on two more selling days compared with the same month a year before. Sales to rental car companies in May increased 18 percent and sales to business customers were 12 percent higher, while private customer registrations lagged the market with a 6 percent increase. Self-registrations remained high, with 14 percent of the registrations occurring on the last day of May, according to industry association ANIACAM. Opel led the market with 10,391 registrations despite a 2 percent decline. Volkswagen, the second most popular brand, saw sales rise 23 percent. Sales of Renault brand, at No. 3, fell 2.1 percent while No. 4 Peugeot’s volume was up 8.4 percent. Seat, the fifth most popular brand, posted 5 percent growth. Among other mass-market brands Fiat had one of the best performances with a 40 percent jump, helped by strong sales of the 500 minicar and Tipo compact car. Ford's sales rose 2 percent while Citroen’s volume was up 9 percent. Toyota’s sales gained 32 percent, Hyundai was up 21 percent, Kia’s registrations rose 20 percent and Nissan’s sales increased 10 percent. Among luxury brands, Mercedes-Benz registrations jumped 36 percent to pass rival BMW, whose sales grew 11 percent. Audi’s sales increased by 6 percent and the brand remains leader in the premium segment. • Click above to download PDF for Spain sales for May. Spain’s registrations were up 7.3 percent to 535,697 in the first five months despite private sales growing only by a moderate 2.1 percent. Tomas Herrera, general director of dealer association GANVAM, called for government incentives to encourage private customers to buy new cars. Analysts Evercore ISI forecast Spain’s market to grow 3 percent to 4 percent this year. Spain sales May, 5 months.